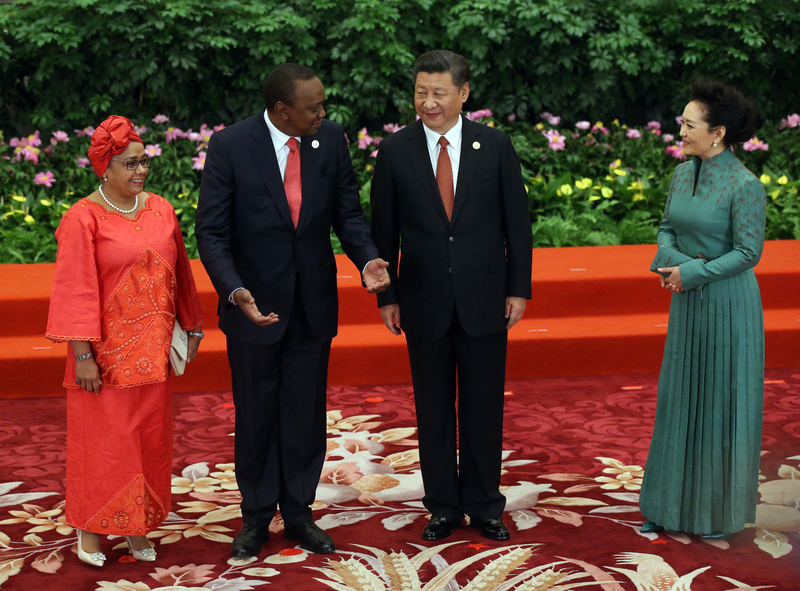 Kenya’s President Uhuru Kenyatta (second from left), his wife Margaret Gakuo Kenyatta (left), Chinese President Xi Jinping (second from right), and his wife Peng Liyuan (right) pose for a photo during the Belt and Road Forum for International Cooperation, in Beijing, May 14, 2017. Nairobi-based international development economist Anzetse Were suggests in a new paper for the South African Institute of International Affairs that Kenya’s leaders, not China, should be the ones held accountable for borrowing too much money without a detailed, transparent plan on how to repay the loans. She joins Eric and Cobus to discuss the growing anti-Chinese backlash in Kenya and the country’s burgeoning economic crisis.